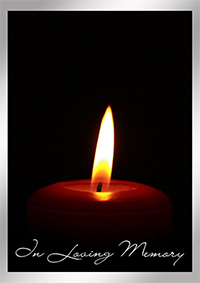 St. Paul's United Church of Christ 1 N. Jefferson St. Alexandria, KY 41001 April 16, 11 a.m.
Betty Lou Pfeiffer, age 92, passed away Friday, April 12, 2019 in Fort Thomas, Kentucky. The daughter of Elizabeth and Henry J. Rinehard, she was born April 8, 1927 in Alexandria, Kentucky, where she lived for much of her life. Preceded in death by her husband of 59 years, Herman F. Pfeiffer. She is survived by her children, Karen (Dennis) Zimmerman, Todd (Janet) Pfeiffer, and Nancy (Richard) Shoemaker; five grandchildren and five great-grandchildren. Betty Lou was a long-time member of St. Paul’s United Church of Christ, Alexandria, KY. Visitation will be held at the Alexandria Funeral Home on Monday, April 15th from 5pm-7pm. Memorial Service 11am, Tuesday, April 16th at St. Paul’s United Church of Christ, 1 N. Jefferson St., Alexandria, KY 41001. In lieu of flowers memorials are suggested to Saint Paul’s United Church of Christ.